To demonstrate just how influential Tapit is in a horse's pedigree and how much stamina he infuses in their blood, Conrad Bandoroff, son of Denali Stud owner Craig Bandoroff, who consigned Tapwrit to the Fasig-Tipton Saratoga yearling sale, where he sold for a whopping $1.2 million, was skeptical how far Tapwrit wanted to go because of his immediate female family - his dam, grandsire, and great-grandsire were all sprinters or milers who produced sprinters or milers. "I was surprised honestly," he said from England, where he is finishing up the Godolphin Flying Start program. "I thought that, in the Derby, the distance seemed to get to him a bit. Those concerns were there with his dam Appealing Zophie running her best races over seven furlongs to a mile, but I think that's what makes Tapit such an unbelievable stallion, that he can inject stamina. Three Belmont winners (and one second) in four years is pretty remarkable." "He was pure class from day one," he said. "Physically he was always very impressive -- athletic, strong, well-balanced and a lot of substance for a Tapit. He filled the picture and had a commanding presence. He had a beautiful walk and moved with a sense of purpose." Tapwrit's female family includes the names Unbridled, Fappiano, Dr. Fager, In Reality, Intentionally, Gana Facil, Killaloe, Aspidistra, Rough n' Tumble, Charedi, Grand Splendor, and Magic. All 12 of these horses were either owned and bred by Tartan Farm or its head John Nerud, raised at Tartan Farm, stood at stud at Tartan Farm, or were part of the Tartan Farm broodmare band. That is an amazing tribute to the influence of Nerud, who founded the Tartan empire, building it up from scratch. 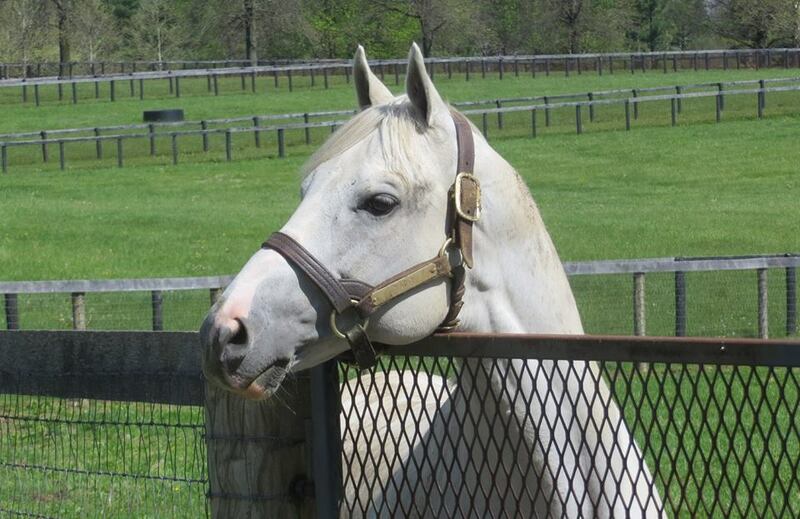 If there is a stallion in America whose influence is even close to Tapit's, it is Unbridled, and to a lesser extent, his son Unbridled's Song. 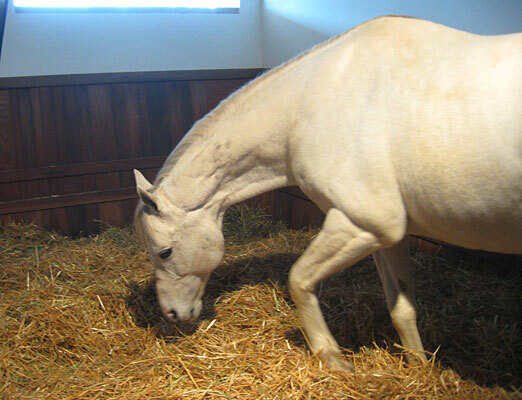 We all know Tapit as the greatest sire of his generation and being on the verge of becoming one of the most influential sires of all time, but what do we really know about Tapit the racehorse, and what he accomplished in a career sadly cut short by injury? 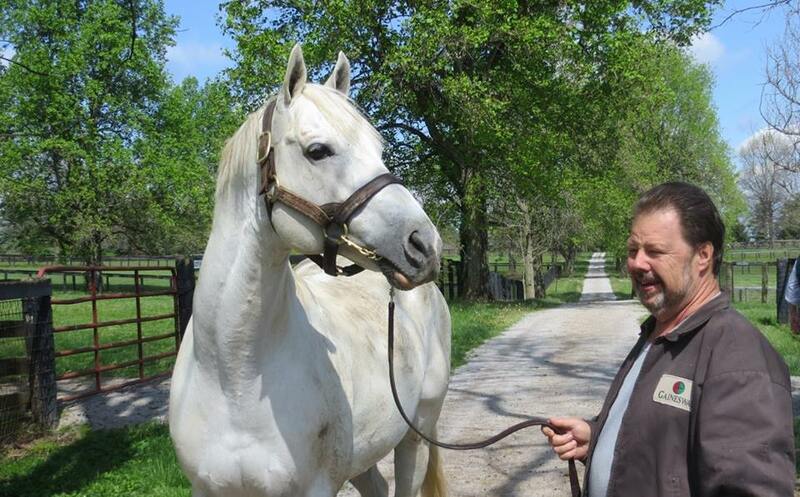 Michael Hernon, director of sales at Gainesway Farm, where Tapit stands, recalls, "I remember watching him win the Laurel Futurity and going straight to the books to look up his pedigree. That really impressed me. Then you see names like Relaunch and Foggy Note and Mahmoud. Once a horse shows that kind of brilliance and acceleration you know he has it. He had that smooth as silk acceleration, and he's also got the pedigree and the physical attributes, and he's got a great libido. His fertility rate is very high." 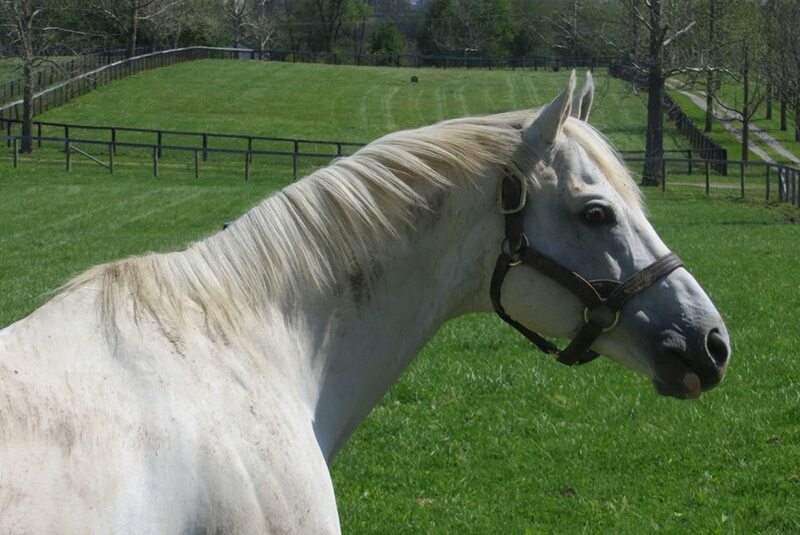 At Tapeta Farm where he was trained by Michael Dickinson for owner Ron Winchell, Tapit had a reputation as being unpredictable and always getting into mischief. One day, Dickinson's partner in life, Joan Wakefield, heard a racket in Tapit's stall and went running over to see what was happening. 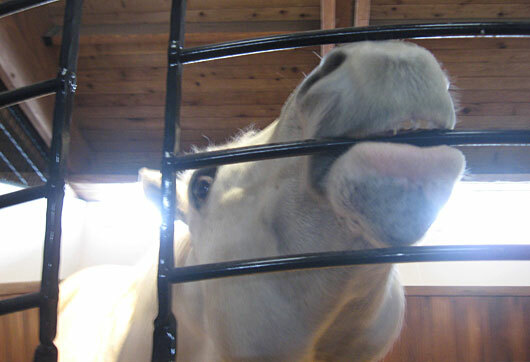 The colt had grabbed the rubber mat in his mouth and was flinging it wildly against the wall of his stall. "He's just a flamboyant little horse, who's always full of life," said exercise rider Jon "John Boy" Ferriday at the time. 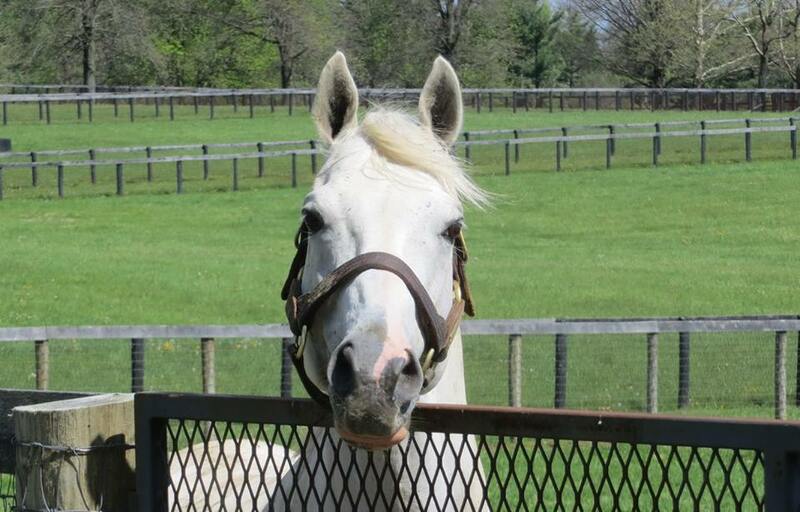 And Tapit's offspring certainly seem full of life as well, regardless of the distance at which they are competing. The aforementioned Frosted, in finishing second in the Belmont Stakes to American Pharoah, actually ran his Belmont a full second to three seconds faster than Tapit's three Belmont winners. He demonstrated the brilliance Tapit is capable of passing on by winning the following year's Met Mile by an astounding 14 lengths in a stakes record 1:32 3/5. As for Tapit's courage and fortitude as a racehorse, he literally brought Dickinson to tears following his remarkable victory in the Wood Memorial, a race Dickinson was convinced he was going to lose even before he shipped him up to Aqueduct. The colt had missed a lot of time and training due to a shin problem and then getting sick, and Dickinson agonized about running him in the Wood in an attempt to make the Kentucky Derby, especially considering the Wood would be only his fourth career start, and no horse had won the Kentucky Derby off as few as four career starts since Exterminator in 1918. To set the stage for the Wood, you have to go back to Tapit's brief, but brilliant 2-year-old campaign. After breaking his maiden at Delaware Park by 7 3⁄4 lengths, he then put on a sensational display of class, speed, and courage by winning the Laurel Futurity by 4 3⁄4 lengths with a breathtaking burst of speed, despite a nightmarish trip in which he was bumped early and forced to steady for a good portion of the race. Five months later, he was trying to earn his way into the Kentucky Derby field in a most unconventional manner. But as it turned out, Tapit proved to be as unconventional as his trainer, who has made a habit of accomplishing the seemingly impossible. When Tapit returned home to Tapeta, located in North East, Maryland, following an inexplicable sixth-place finish in the Florida Derby in his 3-year-old debut, they took an ultrasound and it showed he had a very significant lung infection. Another ultrasound was taken two weeks later and one lung was 100% and the other was 80%. Dickinson gave him a little five-furlong breeze and said he could blow a house down afterward. He was going to wheel him back and work him a mile, but told owner Ron Winchell and manager David Fiske, "I've got to give him as long as I dare to get him healthy and give the lungs a chance to heal. It takes 28 days for the lung to get a new lining." "We're just going to be at the back of the pack and pass beaten ones at the end," Dickinson said after analyzing the race and plotting strategy. "We're never going to be in the race; we're just going to come late and easy and hope to get third. I've already told the owner he's not fit, but he will be on Derby Day." What Dickinson feared going into the Wood was that Tapit, being such a generous and competitive horse, would try too hard and give more than what was expected of him. "He never knew he was sick," Dickinson said. "Even when he's not well he's always perky. Nothing gets him down." Dickinson, as usual, vanned Tapit up to Aqueduct the morning of the race, arriving at around 9 a.m. Value Plus was made the 5-2 favorite, with Eddington at 3-1, Master David 7-2, and Tapit getting played, illness or no illness, at 5-1. At the start of the Wood, Tapit got shuffled back to last, as Lane's End Stakes winner Sinister G broke like a shot from the 9 post and engaged Value Plus to his inside. The pair were joined by longshot Cuba, but managed to get away with an opening quarter in :23 3/5. Eddington and Master David were running side by side, with the latter down on the rail. Ramon Dominguez steered Tapit to the outside down the backstretch and let him gradually pick up horses. The pace remained even, with a half in :47 and three-quarters in 1:11 2/5. Value Plus was still battling with Sinister G when Eddington and Swingforthefences charged up on the outside, with Alex Solis, on Master David, finding an inviting opening along the rail. By now, Tapit was in full gear without Dominguez even having to ask him. 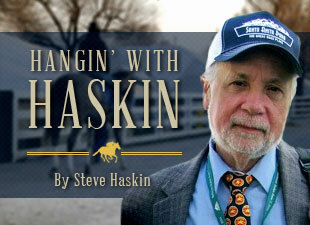 He swung him to the far outside, as the favorites charged down the stretch. Sinister G cracked under the pressure, then Value Plus followed, leaving the four horses in need of earnings battling for the all-important top two spots. Swingforthefences couldn't sustain his move, and then it was down to three. Master David slipped through to take a narrow lead over Eddington, who, as usual, was having trouble changing leads. Just when it looked like Master David had the race won, Tapit, his head cocked toward the grandstand, came charging up on the outside like a dead-fit horse and spurted in the final yards to win by a half-length, covering the 1 1/8 miles in 1:49 3/5. Ferriday headed back to the barn area with Tapit, and was amazed what the colt had accomplished. "He's a brilliant horse to have pulled this off," he said. To demonstrate how tough a horse Tapit was, he coughed the entire way from the winner's circle to the test barn. Dickinson stood off in a corner of the Aqueduct winner's circle and tried his best to explain how Tapit managed to win the Wood. But even he couldn't do it. This was more than just another logic-defying conquest by "The Mad Genius." Although some perceive Dickinson to be a graduate of the Hogwarts School, performing Harry Potter-like feats of magic, he knew there was nothing wizardly about this latest feat. This was simply a trainer in awe of a horse. Tapit had overcome one setback after another that winter and spring, and somehow was still in the Kentucky Derby picture, despite missing 19 days of training with shin problems, and coming out of his sixth-place finish in the Florida Derby with a serious lung infection and a foot abscess. "He won't win the Wood," Dickinson said a week before the race. "He's not fit enough. I'll be over the moon if he can finish third." Now, here he was trying to explain how Tapit could come from dead-last over a speed-biased track, circle the field five wide, and mow down every one of his 10 opponents to win by a half-length. And this with only one race all year and only one serious work since the Florida Derby. "I was dreading the race, because I knew he wasn't fit," Dickinson said. "He's a very generous horse, and he has such a big heart." By now, the words were becoming difficult to get out. Tears were welling up, and his voice began to quaver noticeably. "I felt I was putting him into battle unprepared," he continued. "And if anything had happened I would have blamed myself. But the horse carried me through, and I'm indebted to him. He's such a generous horse and we love him dearly." What made it even more emotional was knowing he would heading to the Kentucky Derby with a horse owned by the Winchell family. Dickinson previously had trained grade I winner Fleet Renee for longtime owner Verne Winchell. At the 2002 Keeneland September yearling sale, Winchell, his son Ron, and Fiske purchased the son of Pulpit-Tap Your Heels, by Unbridled, for $625,000, which was about $100,000 more than Winchell usually would spend for a young horse. He had been recommended by Dr. David Lambert after Lambert performed a heart scan on the colt. 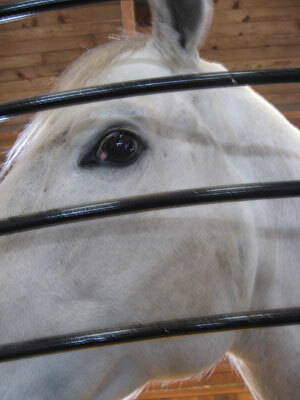 Winchell asked Dickinson what he thought of the horse, and when the trainer said he really liked him, Winchell promised him the horse. 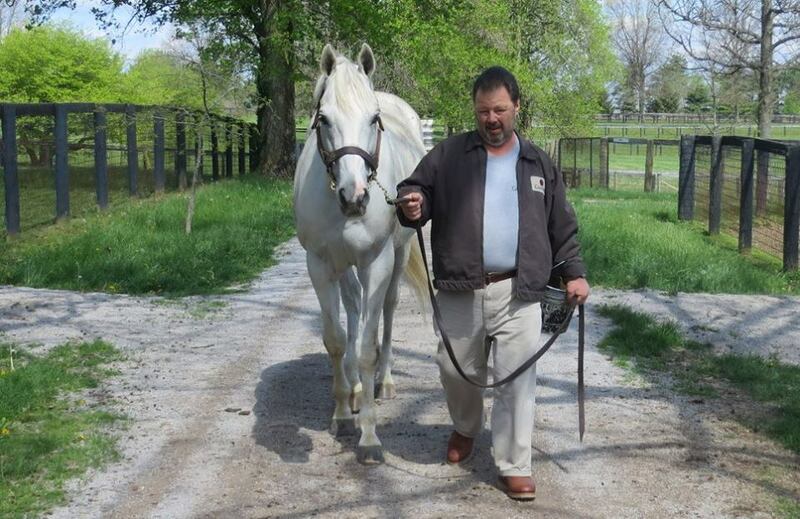 After being broken in Texas by Keith Asmussen, Tapit was sent to Tapeta Farm in May of 2003. But Tapit would be the last horse Verne Winchell would purchase. Two months after the sale, Winchell died of a heart attack at age 87. "He was a star, an absolute star," Dickinson said. "He was a true gentleman and he loved his horses." Ron Winchell added, "Obviously, being the last horse we ever bought together carries some sort of emotional impact." For Dickinson, the worrying was far from over following the Wood. "Now, the question is, will he bounce?" he said. "I want to see him scoped, and see how he's doing tonight and tomorrow. We'll weigh him tonight and every day. The secret of how quickly a horse gets over a race is how quickly they return to their normal weight." All looked well, and it was time to ship to Kentucky to face the unbeaten sensation Smarty Jones. One of the everlasting images of that year's Derby was Tapit's arrival at Churchill Downs. It was a sight no one had ever seen before and won't see again. As everyone is well aware, there is nothing conventional about Dickinson, who has always marched to the beat of his own drum. When Dickinson shipped Tapit to Churchill Downs on the Wednesday before the Kentucky Derby, the conditioner brought a little bit of his farm with him. Dickinson packed the colt's daily treats of Guinness beer and three eggs, along with a long swath of sod and grass from Tapeta Farm for his daily grazing sessions to make the transition from Tapeta to Churchill a littler easier for him. It was an odd sight watching Dickinson roll out his carpet of grass over the grass outside the receiving barn. "I want to make my horse as comfortable as possible," Dickinson said. "He gets his one beer and three eggs every day at the farm mixed with his grain. He likes the grass the best. It's part of his natural diet." Dickinson said he prefers training at his farm as opposed to at a racetrack. "It's tough training at the track and it's very hard for one guy to rise above the rest. If I were at the track I would probably starve," he said. "At the farm I am free to improvise. I can breeze my horses at 3 p.m. if I so choose. I don't but I could." He also brought with him several other conveniences, such as a heat lamp, camera etc, which he promptly installed in Tapit's stall. Pulling off remarkable training feats at Tapeta was nothing out of the ordinary for Dickinson. Certainly everyone remembered Da Hoss. After winning the 1996 Breeders' Cup Mile, Da Hoss was sidelined for nearly two years with a bowed tendon and other maladies. Dickinson nursed him back to health to win the 1998 Breeders' Cup Mile after just one minor prep race at Colonial Downs. Tapit went into the Derby off only four career starts, and in one of them, the Florida Derby, he was sick and ran poorly. "My health always reflects my horses' health," Dickinson said. "He was sick so I was sick. We're both feeling a lot better now." Whether Tapit did bounce in the Derby or simply couldn't get hold of the slick sloppy track, he wound up ninth without ever putting in a run. Put away and targeted for the Haskell Invitational, he was forced to miss the race due to throat surgery. When he returned in the Pennsylvania Derby and finished ninth again it was decided to retire him to Gainesway Farm for a $15,000 stud fee, which would prove to be one of the great bargains breeding history considering that his fee eventually would skyrocket to $300,000. Although he was perfectly sound, he had had an up and down year, incurring a number of setbacks. There was no denying the colt's potential and his natural talent, as well as his ability to bounce back from adversity and do things most horses would find impossible. He had demonstrated a rocket of a move, and the ability to decimate his opponents or mow them down late. With only six lifetime starts, we'll never know how good Tapit could have been on the track. But we sure know how good he is in the breeding shed. And now, his offspring are giving us a hint of what we might have witnessed had he been healthy and able to continue his racing career. Regardless of what he accomplishes in future years as a stallion, what I will remember most about Tapit is spending a glorious, relaxing morning at Gainesway Farm the day before the 2014 Kentucky Derby and being captivated by the stallion's elegant beauty, his white coat and refined Arabian-like head set against a backdrop of green and bright blue sky. I will also remember that afternoon at Aqueduct when Tapit brought his trainer to tears, winning a race he had no business winning. And, of course, there was his grand entrance at Churchill Downs, where he received a red, or should we say green, carpet greeting. But for now, another Belmont Stakes has come and gone, and the legend continues.